I am often asked how much it costs to create a mobile app solution. So I decided to write about how I approach the question. I steer the conversation to what I term the “Minimal Viable Product”. That is, what features are mandatory for the product to be a success in the near term (i.e. within 6 months). Since time to market is critically important for an app, it is important to get the Minimal Viable Product in customers’ hands and gain feedback to evolve the product. Often the discussion gets really interesting. Some of the original items talked about are immediately dropped and others that were not initially considered rise to the forefront. A common problem is “feature creep”, which is important to control throughout every phase of the development effort. Often users want to employ features found in their favorite apps even if not needed in the app under discussion.Ultimately with enough patience we arrive at a set of features that frames the core of the product. How will users interact with the app? Building upon this collection of features we progress to user interaction with the app. I found making a simple sketch on a white board for each screen and type of use, is very helpful. The results can easily be documented via digital picture. I also use tablet drawing tools and prototyping software. Neither is as fast or as simple as the white board. Does the app need external data? It used to be important to determine a specific platform to support, i.e. Android, iOS, Microsoft or Blackberry, assuming there is a dominant platform. 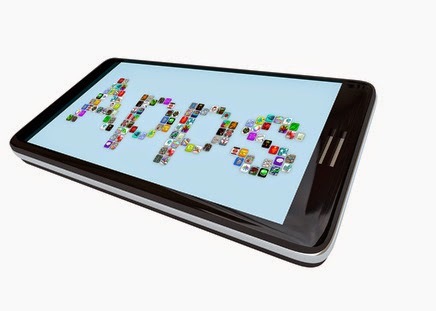 Modern apps must be targeted to a minimum of the Android and iOS platforms. Right away a decision must be made regarding using Cross Development Platform tools or native app development tools ... more on this in a future blog. Discuss this or anything else on our Facebook Page or Google+ now, or contact us for a consultation. If you ever wondered who are the most sophisticated players in the IT outsourcing industry, I'd highly recommend checking out this article to learn more about outsourced product development. "If you ever wondered who are the most sophisticated players in the IT outsourcing industry, I'd highly recommend checking out this article to learn more about outsourced product development .